The family of a motorcyclist killed in an accident on the A530 Middlewich Road near Nantwich has paid tribute to him. Anthony Rushton (pictured), 58, died after his motorbike collided with a car on the A530 close to the junction with Colleys Lane. A motorcyclist killed in the two-vehicle smash on the A530 at Alvaston near Nantwich has been named as Anthony Rushton. 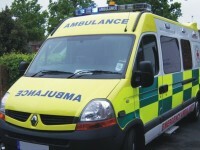 The 58-year-old grandad, from Chesterton, was riding along the Middlewich Road when he collided with a blue Mazda 5. Motorists could face traffic nightmares for up to eight-weeks as the A530 Middlewich Road in Nantwich is closed due to flood damage. The busy route was badly damaged when a burst water main flooded the area with the junction at Colleys Lane. By Jonathan White A Nantwich ladies tennis team is celebrating after winning the league title – for the 20th year in a row! Nantwich Tennis Club Ladies ‘A’ team have landed the South and Mid Cheshire Division 1 cup for the 29th time in all.